Born in a rough neighborhood in Gaithersburg, Maryland, Robert Bryson Hall was brought into a world lacking in any form of sympathy. Abandoned by his father at a young age, and raised by a single mother who suffered from a drug addiction and alcoholism, it would be no slight exaggeration to say Hall was forced to survive a childhood torn straight from the pages of a Dickens novel. Unable to survive on the meager assistance provided in food stamps and welfare, Hall's older brothers were forced to sell crack-cocaine in order to simply keep a roof over their head and food on their plates. Trapped in an environment of severe poverty, substance abuse, and violence, life began to take its toll on Hall. At 16, Hall began skipping classes regularly in order to smoke pot with friends and listen to hip hop, his one true passion and the means to his mental escape from all the pain that surrounded him. With his absences piling up and his only passing grade in English, Hall would be expelled from high school. With no parents to fight for him, and too young to know the weight of the decision imposed upon him by a broken system, Hall, at the tender age of 17, was left to fend for himself in the world. With nothing but the love of hip-hop and writing, and fed up with the destruction and desperation that threatened to suffocate him, Hall made the decision to pack his bags and to chase his dreams. Hall resolved to live a life of meaning, which to him meant making music and choosing to turn his passion into his profession. Hall got two part-time jobs to support himself, working as he puts it, "from 5 a.m. to 3 p.m., and then 5 p.m. to 11 p.m.," and then making music from 12 a.m. to 2-3 a.m., everyday for an entire year. He moved into the basement of his good friend Lenny Bo, who offered him food and shelter when the money he was earning was not enough to survive on, and dedicated every spare moment to trying to establish himself as an artist. Fast-forward to today, young Byrson Hall happens to go by a different name. He also happens to be an up and coming hip hop artist who is taking the Internet by storm, and with a debut album due to come out this Fall, he'll be the man you'll be hearing and seeing plenty of this upcoming year, whether it be it in your magazine or on your radio. He's the 24-year-old rapper from Maryland who's already released three critically acclaimed mixtapes, amassed a huge global fanbase, and is currently on his second nationwide tour of the year. 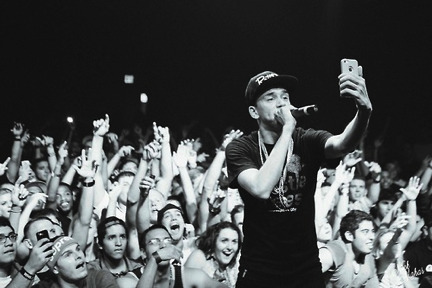 Logic, or as his persona is known, Young Sinatra, whom he bares a striking resemblance to, has some serious talent, as he was chosen to be on the cover of XXL's 2013 "Freshman Class" issue, the hip-hop magazine's annual showcasing of the rising rappers and stars on track for major success, a list that has previously showcased the likes of current chart-topping rappers such as of J. Cole, Wiz Khalifa, Big Sean, Kendrick Lamar, and radio darling Macklemore. Taking a career route not seen since the advent of Roc-a-fella, Logic initially signed with the independent label, Visionary Music Group, founded by his manager Chris Zarou, and together they would apply a new blueprint to finding an audience for a new artist, leveraging online mediums such as Youtube and Twitter, as well as free mixtapes and a nationwide touring, to build a grassroots fanbase. This strategy would go on to pay dividends, as the 24 year-old rapper would go on to be signed by Def Jam Recordings, with no less than legendary producer No I.D., a man who also happens to be the mentor of a musician you may have heard of, Kanye West, serving as executive producer. 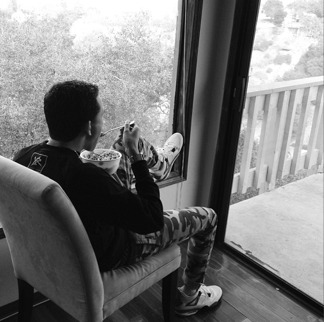 As his credentials build, Logic has begun to work with artists such as Big Sean, with bigger artists down the line planned. However, impressive as these accomplishments are, all of which speak for themselves, Logic isn't concerned about the money or lifestyle. He hopes that by sharing the stories of his life, and all the difficulties it entailed, will serve to help those facing their own battles, whatever form they may come in. It's a testament to his spirit, characterized by a selflessness that resembles fellow Maryland native and 2014 NBA MVP Kevin Durant, both of whom stand as proof that in the selfishness of our twenty-first century world, a young musician, with nothing but talent and determination, and who has already accomplished enough for a lifetime, is at what he believes is the beginning of a very long career. 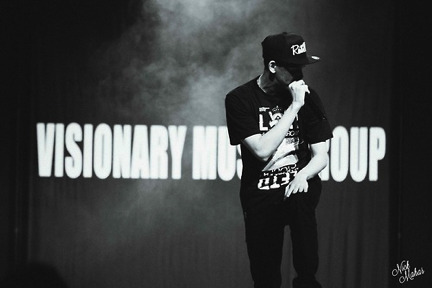 As Logic embarks on his second nation-wide tour of the year, the While You Wait Tour (make sure to find him in a city near you), and coming up on the last few months before his first major studio release, it seems as if the sky is the limit for Logic.